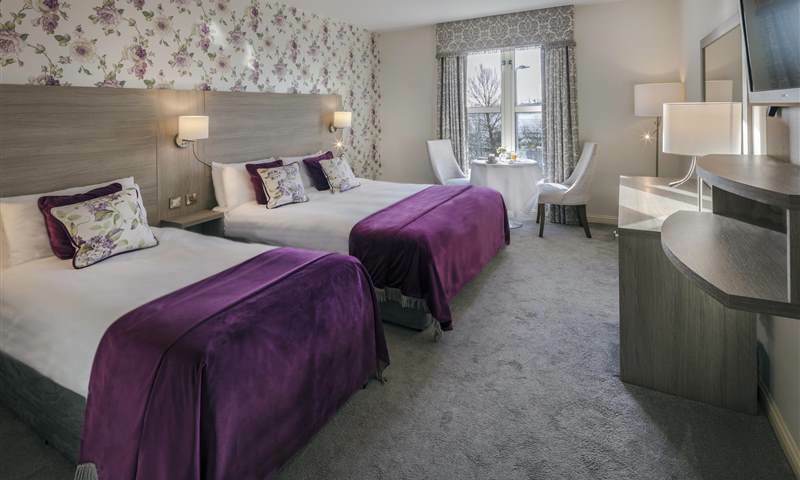 Our Signature Twin and Double Rooms are what might be called standard rooms but at the Landmark Hotel they are far from standard. Spacious with a choice of twin beds or double bed they are furnished with elegant pieces carefully selected to complement the size of the room and the style of the décor. The décor is simple yet warm and restful with gentle colours and tasteful designs. All our rooms offer a seated area for working or reading or just enjoying a cup of tea in the afternoon. Every convenience you would expect from a 4 star hotel is to be found in the rooms and ensuite bathrooms.